Riding conditions might not be ideal for most of us right now, but Spring and Summer will be here before we know it. I know it's hard to imagine with all of these snow covered cars, but fear not, there is light at the end of the tunnel. With the warmer seasons slowly approaching, REV’IT! has been hard at work. Those of you who are familiar with how awesome the original Tornado might wonder how it could get much better, when it was already so great. Well it did folks, new for 2016 we have the REV’IT! Tornado 2 Jacket and Pants! 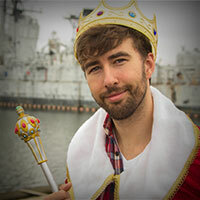 The new and improved REV'IT! Tornado 2 Pants feature 750D mesh (replacing the original's 500D) and the shell has been upgraded to 1000D from a previous 600D construction. These pants have a slimmer accordion stretch at the knees and rear yoke and they added some tush grippers. Oh, you love suspenders too? Good, because they added an option for you to attach a pair if your heart desires. The REVIT Tornado 2 still has a 2-in-1 liner, but they beefed up the material near the boots for increased longevity. Just in case you are not familiar with this 2-in-1 system, these pants are equipped with a liner that is both waterproof and thermal insulated. We did loose a little mesh with the upgrade, but it was replaced with more 1000D textile so not all is lost. One downfall to the REV'IT Tornado 2 is that they are no longer considered an over-pant and the zipper stops below the knee. They also did not change the style much, which can make it easy to overlook the major changes - but these pants are certainly going to be a pair you will want in that ever-growing gear closet. The REV'IT! 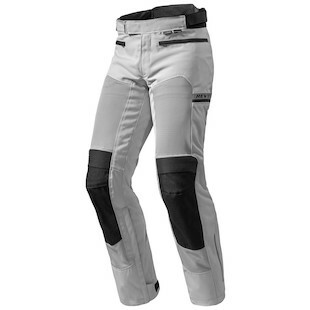 Women's Tornado 2 Pants are also available for female riders. decided not to update the jacket? Luckily that is not the case, because the REV'IT! Tornado 2 Jacket got a nice overhauling. 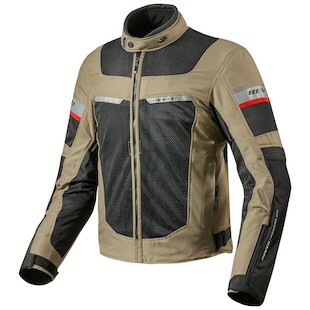 Like the pants, the jacket features 750D mesh construction and the exterior shell has been upgraded to 1000D. I can't say if this is going to help you in an actual tornado, but... I guess it couldn’t hurt anything... Right? Luckily we do not see too many tornadoes around RevZilla headquarters. What are we talking about again? Oh right, the Tornado 2 jacket will accept the SeeSoft RV back protector and it will come equipped with SeeFlex CE2 armor throughout the shoulder and elbow. In addition, this jacket will accept the Hi-Viz Vest as well as the REV’IT! Challenger Cooling Vest Insert. The Tornado 2 jacket is keeping the 2-in-1 destination liner which will get an updated logo but it will lose the pockets. As with the pants, the REV'IT! Women's Tornado 2 Jacket is also available and provides all of the same features, yet with a more ergonomically-friendly cut for women.